Whether it is invoicing, checking figures or speaking to your accountant, spreadsheets more manual effort. Cloud-based accounting software automates many of these processes, making you more efficient. 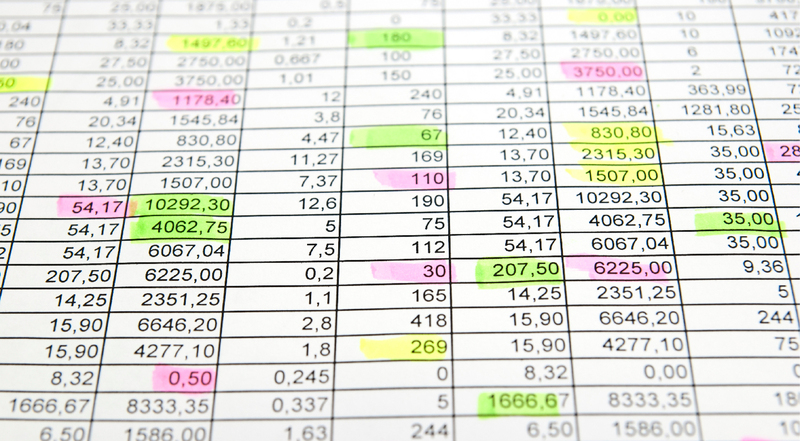 Here are five reasons spreadsheets belong in the past. It takes time to create a bookkeeping system for your business from scratch. And even if you use a template, it can be tough to find a high-powered spreadsheet that will suit your business. With cloud accounting software like FreeAgent or Xero, all the functionality is already in place. You just need to insert the data as directed and it can perform complex calculations automatically, meaning you can track things like profitability and cash flow quickly and easily. Although spreadsheets contain all the information you need to invoice a client, you will still need to create and populate a professional looking invoice manually in Microsoft Word or another program. Cloud accounting platforms can create these invoices automatically. And you have the option to set up automatic reminder emails, boosting your chances of getting paid on time. Manually recording transactions into journals so your bookkeeping matches with your bank statements is time consuming and unnecessary. Because the security on cloud software like FreeAgent and Xero is very good, banks are happy to share customer transaction information with them. This means that you can keep a close eye on what’s coming in and going out and monitor your position very closely. Spreadsheets are prone to errors and mistakes. One error can lead to more errors resulting in incorrect data. With most spreadsheets, you are chained to your desk. You have to perform all that financial admin from one computer, in one spot, every time. Cloud-based software is different. With software like FreeAgent and Xero, you can access and edit your accounts from anywhere where there’s an internet connection. And this includes on mobile phones and tablets.